Yes, it's only mid-September, but it's never to early to prepare for Halloween! 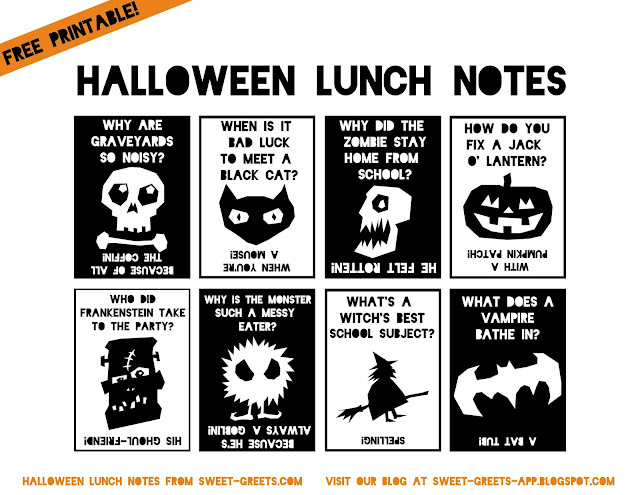 Here are some silly Halloween joke lunch notes to add to your kid's lunch box. The spooky/cute images come from here. Just click the image above to download. Enjoy!